Discover the wartime experiences of the bomber boys in World War II. Flying bombers during World War II was a harrowing ordeal. Unlike the fighter jocks, who pit their skill and wits against each other in agile aerial combat, the bomber boys had to endure the fear and savagery of the air war with grim acceptancetheir only option to sit and take it. Manning lumbering machines that could not maneuver or defend themselves effectively, the aircrews had to rely on tight aircraft formations and their own bravery to survive the onslaught of enemy fighters and anti-aircraft artillery. Within these great planes, they developed bonds like no other; young men thrust together in a shared fate, risking their lives in slow-moving yet beautiful and powerful aircraft over the skies of numerous war zones, thousands of feet above the battlegrounds but no further away from the horrors. 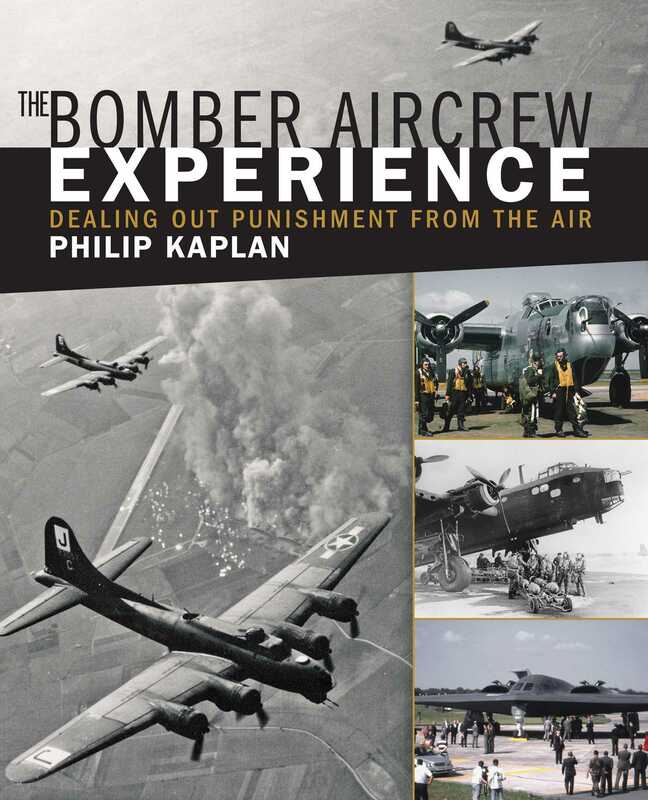 Fully illustrated with hundreds of color and black-and-white photographs, as well as dozens of interviews, Philip Kaplan’s The Bomber Aircrew Experience offers an intimate glimpse into the life and times of these wartime airmen. The bomber boys recount their harrowing missions over Germany’s industrial heartland, paving the way for Allied victory in the Second World War’s European Theatre. Discover what it was like to man such planes as the great Flying Fortress and the Liberator, and what it was like for the British and Commonwealth boys flying night missions in the Lancasters, Halifaxes, and Stirlings. And then finally, learn about the development of the modern stealth bombers: the F-117 Nighthawk and the B-2 Spirit.